Tammy, I love this so much!! So true! And how adorable. That quote fits the photo perfectly...and I want to snuggle that chick in the worst way! Great quote and so true! Love the cute chick! I keep looking for the "like" button. I want to snuggle that baby chick! 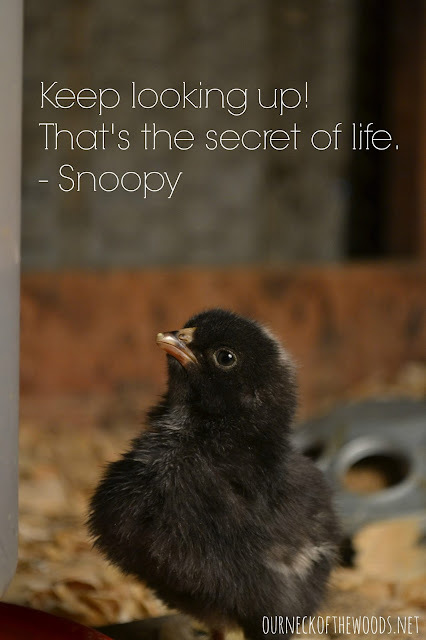 Feathered Friend Friday: More Chick Cuteness!